A compact design with powerful sound. 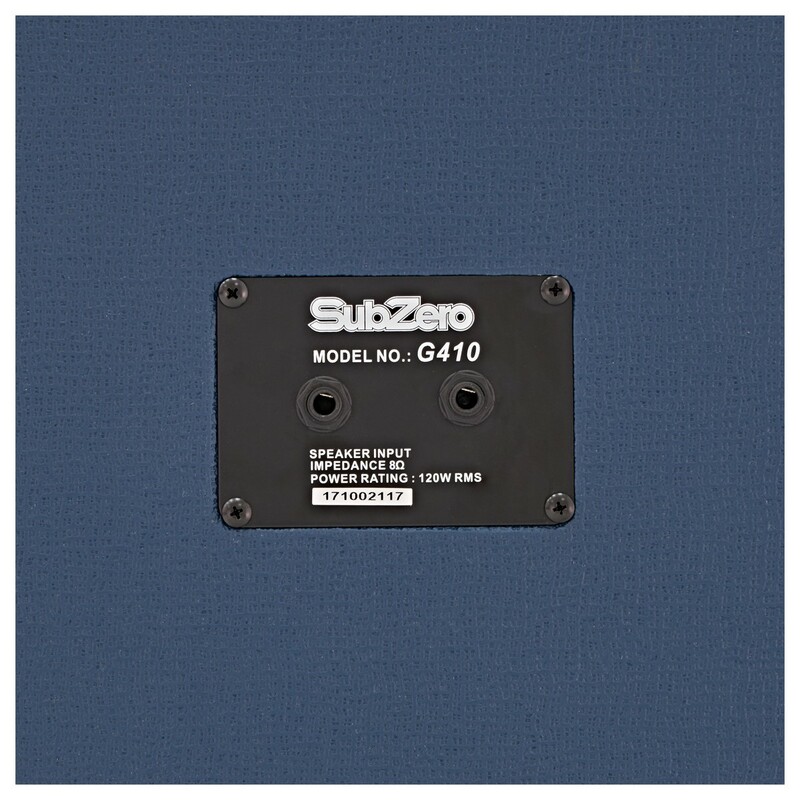 The SubZero G410 is Loaded with four 10" Celestion Speakers, for a great sound with clarity. Ideal for the stage, it has a solid construction ready for life on the road, plus a vintage blue finish to complement your playing. 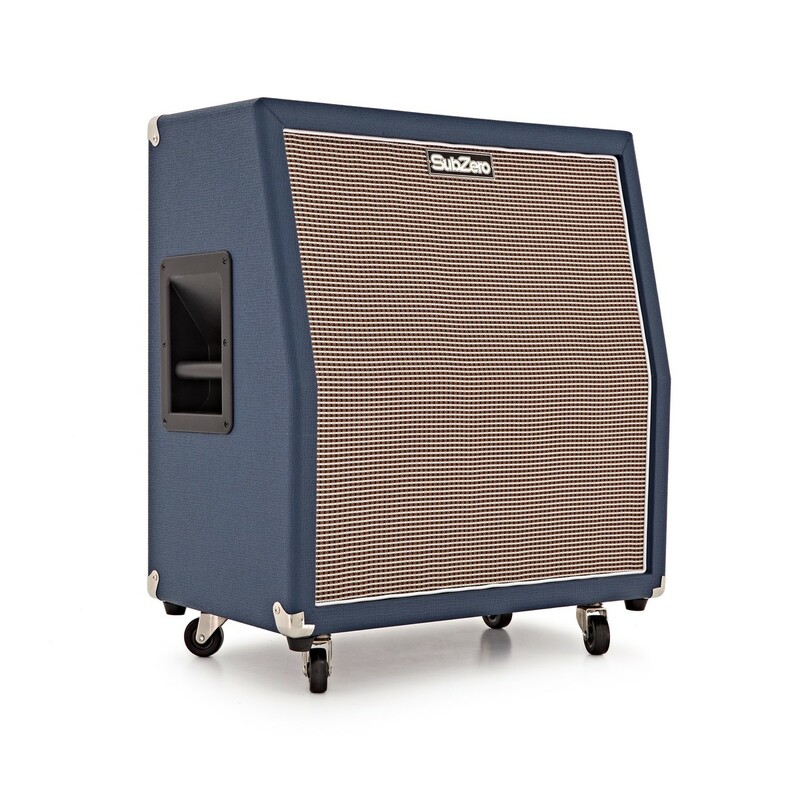 With four 10" Celestion speakers, the G410 speaker cab creates a huge sound with striking overdrive tones. Four speakers combine to handle a full spectrum of frequencies, increasing the clarity and detail of your guitar's sound. 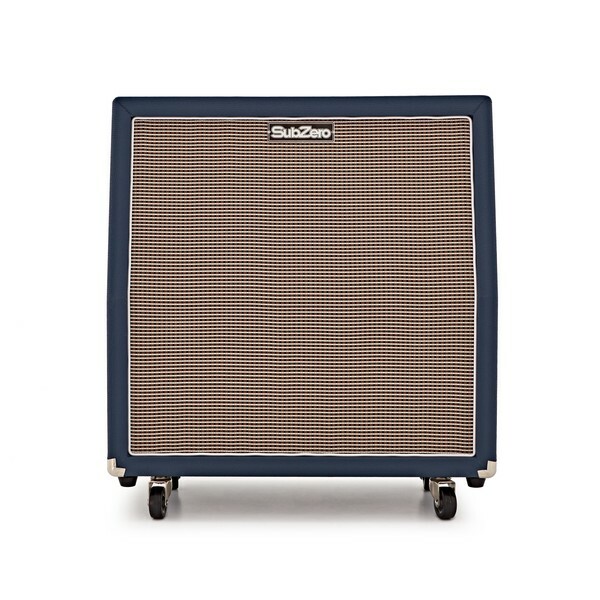 Stand out on stage with the vintage-look casing. 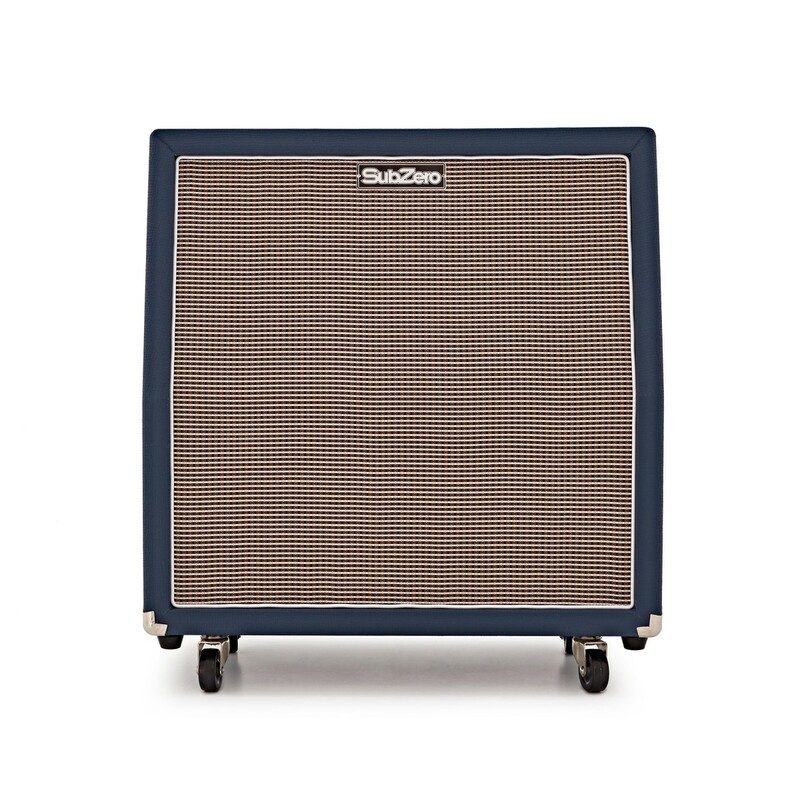 The SubZero G410 features a blue Tolex finish and retro grey grille cloth for a durable build quality. Prepared for life on the road, it also includes corner protectors, handles and wheels for easier transport. 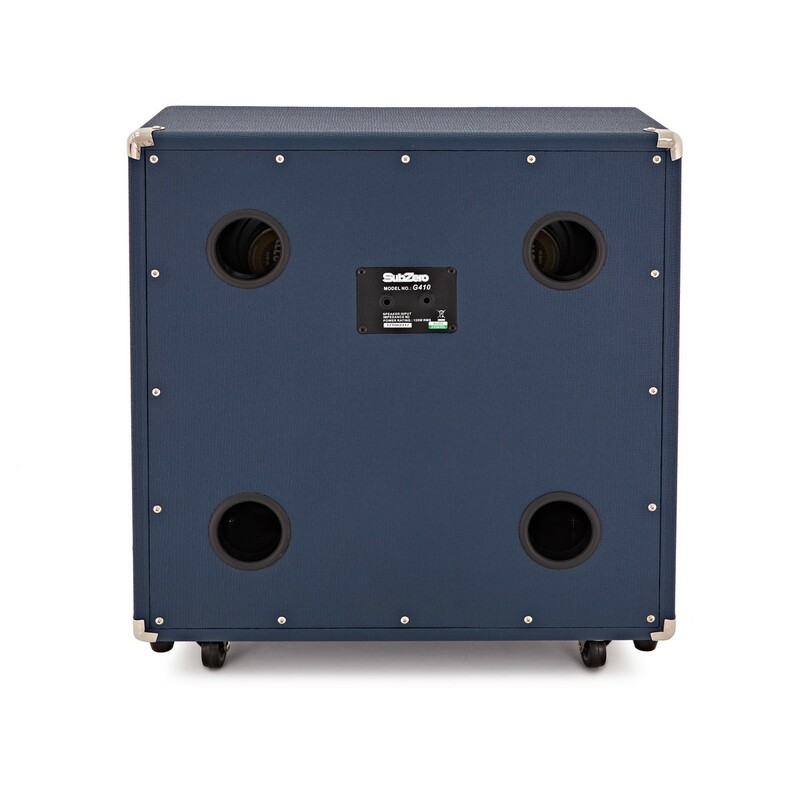 Four Celestion speakers make this cabinet an ideal complement to valve amplifiers, and it's particularly well suited as an extension cabinet for the SubZero Tube-H50 Head.